We have highly trained and certified interpreters and translators across Los Angeles who can help you with all your legal translation needs. 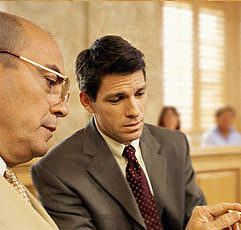 We can provide assistance in court proceedings (e.g., Arraignment, Motion, Pretrial Conference, Preliminary Hearing, Deposition, Trial) and with the legal translation of written documents. Our certified interpreters are skilled in both Simultaneous (performed continuously at the same time someone is speaking) and Consecutive interpreting (the translation of statements after someone has spoken, with pauses between completed statements). Our certified interpreters help you facilitate communication between two or more parties in an accurate and impartial manner. Please note that due to the demanding schedules and reservations of certified translators and interpreters, a standard half-day or full-day interpreter’s fee will apply if scheduling is not cancelled at least 24 hours prior to scheduled day and time.